Tayloright LLC (dba TungstenRings.com) has been in business for over a decade and is accredited and rated A+ with the Better Business Bureau. 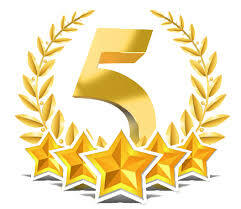 In addition, we have been awarded a 5-Star Rating with this same organization. Click on the Better Business Bureau live link above to view our rating or to leave a review. If you have ordered an incorrect size or if you need to exchange your ring for a different size, please contact TungstenRings.com at 801-755-1661 or ringsales@live.com (see “Contact Us” at the top of this page). We will authorize the exchange and make sure you receive the size you need. Depending upon the type and model number of the ring there may be nominal fees associated with exchanges. Most stock rings are available in full and half sizes and custom rings (Exotic Wood, Dinosaur Bone, Antler and Meteorite Inlays) are available in all sizes including 1/4, 1/2, 3/4, and full sizes. Stock rings have a 30-day free exchange or refund policy included. Stock rings that have been personalized with engraving can also be exchanged for a different ring or a different size. Exotic Inlay Collection rings are custom-made to order for each customer and as such do not have a refund or return option. At TungstenRings.com, we purchase only rings that are designed, crafted and made from the finest materials to ensure a lifetime of enjoyment! If you take care of your ring, clean it and treat it with respect and do not abuse it, it should be the only wedding band you need to purchase. Our LIFETIME WARRANTY includes all manufacturing defects and sizing – the most comprehensive lifetime warranty in the industry. Buy it once – for life! No other ring carries this comprehensive of a warranty. Tungsten is known for its stunning scratch-resistant finish and holds its shape and shine indefinitely. The Tayloright© Tungsten “Hallmark” is engraved on the inside of our rings for your protection – this guarantees and validates your lifetime protection. Should your ring become defective due to the manufacturing process (including loss of diamonds), we will replace your ring for $39.99. This warranty exchange fee covers handling, packaging, and shipping your new ring back to you. We recommend that you still secure an insurance policy for rings with genuine diamonds – most insurance policies will cover the loss of stones and this will serve as a backup for any loss that might occur. PLEASE NOTE: “Exotic Inlays” (custom-made rings that are handmade to order and require 3-5 weeks manufacturing time) come with a full 1-year warranty against all manufacturing defects. These exotic inlay, handmade rings do not carry sizing and return/exchange warranties. Should you have questions about your ring please contact us at 801-755-1661 or email us at ringsales@live.com. We know your peace of mind is not earned on price alone – that is why we accept all major credit cards and PayPal, so that you are protected with your online purchase. We also make sure our customers receive 100% security and protection when buying from us online … that is why we use the world’s #1 rated e-commerce platform – WordPress. In fact your transaction is protected by the same military-grade security and encryption that the big banks use. 1. First Class Mail – Free (U.S. and Canada Only). United States First Class Postal Service. 2. Expedited Shipping – $20.00 (U.S. Only). 3. International Expedited Priority Mail – $40.00 (International Only).